In contrast to typical single-user software, multi-user database applications such as PDXpert have demanding communications and infrastructure requirements. As such, they're often more sensitive to unexpected changes in their working environment. PDXpert software relies upon services provided by Windows and particularly the Microsoft .NET application framework. PDXpert also requires a stable installation of the Microsoft SQL Server database engine. Windows, .NET and SQL Server updates performed while the PDXpert client or PDXpert Application Server is active can cause unpredictable results. 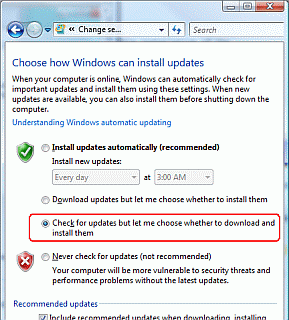 For best results, you should not accept automatic updates using the Windows Update background service while PDXpert is running. You should promptly accept updates and then restart PDXpert. The PDXpert client caches a significant amount of data. When the Windows Update service indicates that your computer will be (or has been) updated, you should close and re-open the PDXpert client to refresh the cache. On the computer where your PDXpert Application Server is installed, reboot the computer after any update to Windows, .NET or SQL Server.